Paintings can be done based on a photo, a post card or better still from holiday memories. They are a great way to remember the great places we get to on holiday and everyone, including family and loved ones can enjoy them at the same time. They also make great souvenir presents. 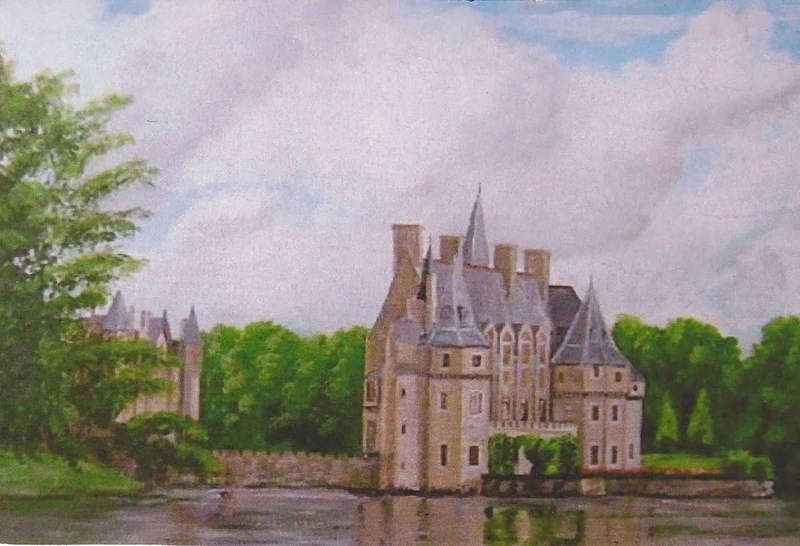 This is "Chateau de Brittage, France", acrylic by B. Gill.